The Twitter 'Hashtag' is about to get even more exposure! 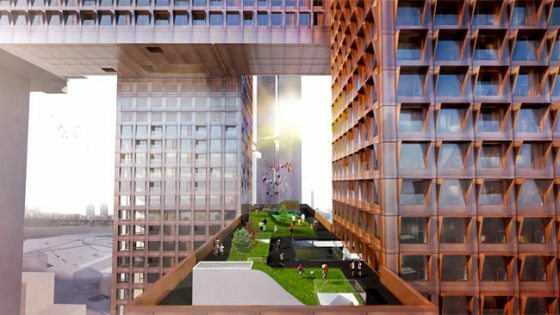 Danish architects are set to build "The Cross Hash Tower" in Seoul, South Korea. 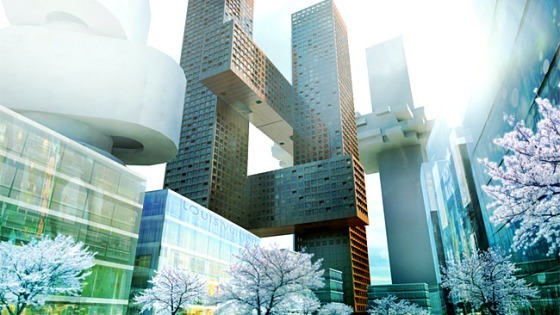 It will be the gateway to the new Yongsan business district. The design of the 21,000sqm cross-hatched interlocking skyscraper is gravity-defying, and resembles a 'tic-tac-toe' shape. 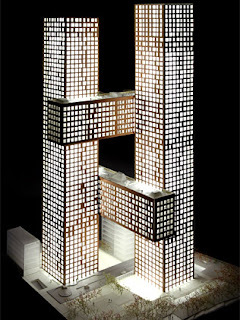 The towers will reach 214m and 204m in height respectively and will be connected by three public bridges, one at street level, another underground and te third high up in the sky. 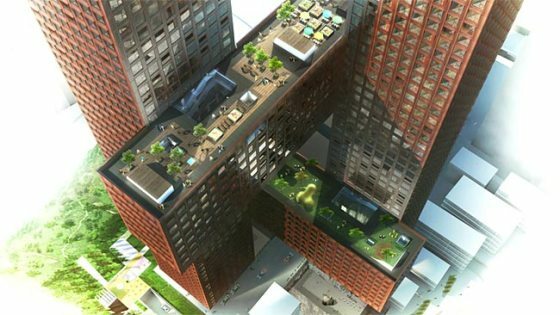 The towers will include 600 residences along with a library and gallery, and the top level will be covered with gardens available to the residents.